Today’s daily prompt: “Think global, act local.” Write a post connecting a global issue to a personal one resonated with me and when I went searching for an image from my SendOutCards greeting card catalog, I knew I had to share! With today’s daily prompt, I challenge you during the month of February to practice gratefulness for 30 days. As an 11 year breast cancer survivor, I’ve learned that the key to enduring life’s journey is simple ~ LOVE and GRATITUDE. World peace is possible by taking small steps ~ and it begins with you and me. Imagine for a moment going to your mailbox ~ you rummage through the junk mail, the bills, the newspapers, etc. As you quickly peruse the pile, you see an envelope which isn’t a bill, isn’t junk mail and you’re curious. This is the envelope you open first, isn’t it? This envelope is an unexpected card from me ~ telling you how wonderful you are and how grateful I am for you in my life. I don’t know many of you personally, but as a blogging community we’ve bonded in a most unusual way. The positivity that flows so effortlessly makes it easy for me to send you this real paper card to tell you how happy I am that we’ve connected and how much I enjoy reading your blog. Appreciated! Happy! Special! Loved! Grateful! how special YOU are and didn’t ask for anything in return. And the greeting card cost only $1 plus postage! And there’s even financial freedom ~ SendOutCards gives residual income as you think globally by sending cards to everyone all over the world ~ in different languages and act locally by increasing happiness in your world because you are sending a heartfelt message in the card. You even increase global economy by sending a beautiful card which you do from anywhere in the world, 24/7 via your computer or your phone. How simple is that? 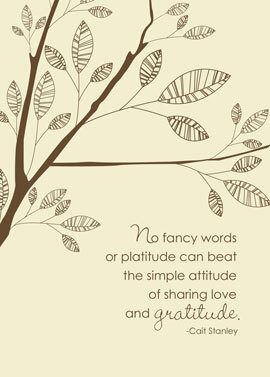 Sharing GRATITUDE and LOVE increases the good in your life. Simply click onto GRATITUDE and get a FREE ACCOUNT! As for Financial Freedom ~ Click HERE! I want to thank you all for everything ~ I wanted to find the right card from my SendOutCards catalog to post today ~ one that would perfectly describe how I’m feeling since my last post and I am hoping that you feel the same way I do ~ that this one says it all. Together we can make Miracles. Even the strongest oak needs help. Embracing each other allows us to fly! So let’s soar together my friends, each and every day. 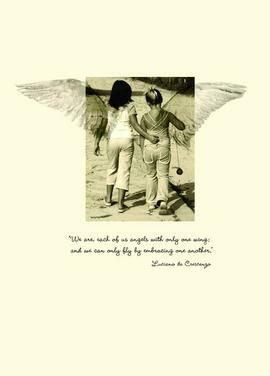 Allow me to be your ‘wing gal’ and together we share the enthusiasm for life’s flight! 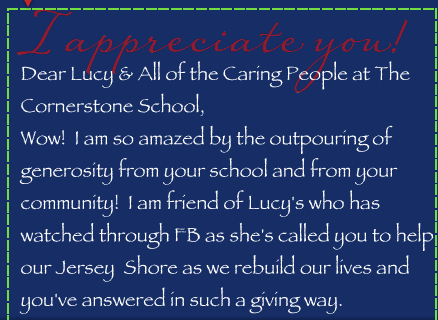 Hurricane Sandy Help from Faraway! 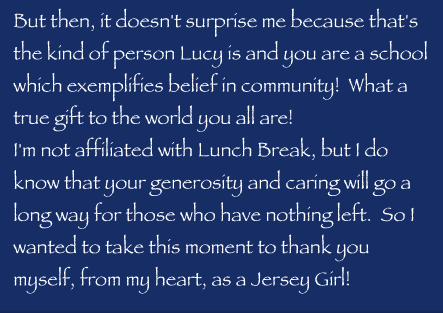 So many people have helped those affected by Hurricane Sandy! Recently I saw that a friend who moved to Ocala, Florida, inspired her children’s school and community to donate items to help those in New Jersey ~ her childhood home. 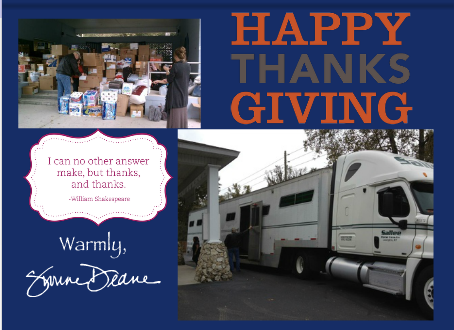 On FB, I watched as she asked and got help and donations and even got a truck to bring them to N.J.! 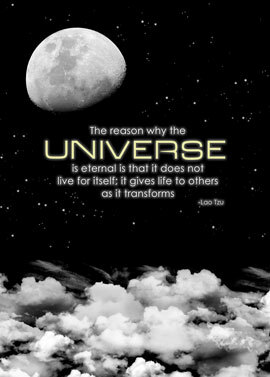 The power of one person ~ multiplied by hundreds of other like-minded hearts ~ can change lives! This is why I love what I do! I just uploaded their pictures from Facebook and their website to my free SendOutCards (SOC) account, then I decided what backgrounds, fonts and colors I wanted, I then wrote a note from my heart and finally I found their address, filled in the blanks in the virtual envelope provided by SOC and voila! I clicked send ~ within 24 hours, my card was printed, stuffed into the envelope, licked, addressed, stamped and mailed for me! There is nothing easier, nor more fun, nor less expensive and yet priceless! I had to share…so please indulge me! Do you need to thank someone? 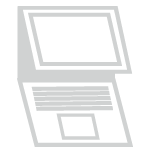 Click below…you’ll be glad you did! Tongue-tied? Not sure who in the world you could send a card to ~ let alone 30 people? Is that all that’s holding you back? Well, I’ve made up a little list below to see if I can help you out. You see, there are tons of people in your world who make your life easier, some of whom you don’t even think to thank for what they do! Or perhaps you don’t know how to thank them? Or you feel silly thanking them? Honestly, wouldn’t your heart fill up and a big smile highlight your happy face if someone thanked you for what you do? Well, guess what ~ when you thank someone else, your heart gets filled up too! Talk about a real Win-Win situation! Giving and getting back at the same time ~ spreading sunshine and feeling good ~ PRICELESS! So for less than the price of your cup of daily coffee for a month, how about venturing out into the gratitude movement to take 5 minutes a day to choose a card, write a note and click SEND ~ SendOutCards will do the rest for you! And you’ll be making a difference in many lives with just one click! Give it a try today…I guarantee it will change your life! It’s changed mine ~ for the better! 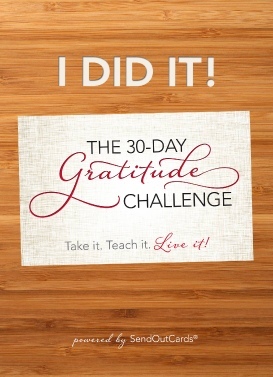 Join the 30 Day Gratitude Challenge! 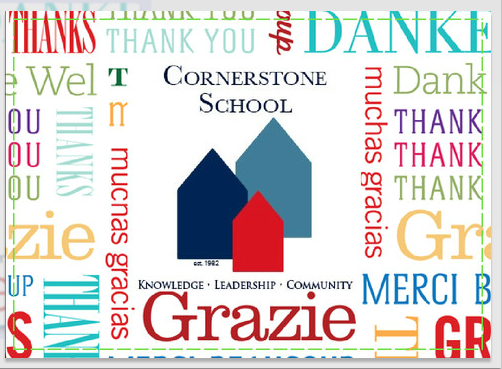 Here are a few people whom you might want to send a real card to in order to thank them! Your close family. Your spouse. Your children. Your parents. Your brothers and sisters. Your grandparents. Your friends/best friend/frenemies. Long lost relatives. Long lost relationships. Cousins. Your aunts and uncles. Your in-laws. Your spouse’s relatives. Old relatives who are alone. Someone in a nursing home/assisted living. College roommates. Childhood friends and neighbors. Your dentist. Your hair-dresser. Your nail salon/barber/spa employee. Someone in the military. Your doctor/nurse. Your work friends/boss. Your auto-mechanic. Your food delivery ~ pizza to your home. Your travel agent. Your neighbors. Your coach or your child’s coach/dance teacher/piano teacher, school teacher etc. Your real estate agent. Your tax/accountant. Your favorite bank teller. Your newspaper deliverer. Your lawn service. Your favorite coffee barrister. Your favorite restaurant. Your florist. Your pet’s vet. Those who would do you a favor today. Those who would bail you out of jail. 🙂 The person who has given you good advice. The best teacher you know. The most optimistic person you know. The person who needs a caring note. The person who needs to hear from you most! The list can go on and on…just think about it! Our lives are filled with people for whom we are grateful! Can you think of more people to add to the list? I just love this card ~ even more, I love the quote. You know, Thanksgiving is around the corner ~ a day of sharing love and gratitude with family, friends and others. 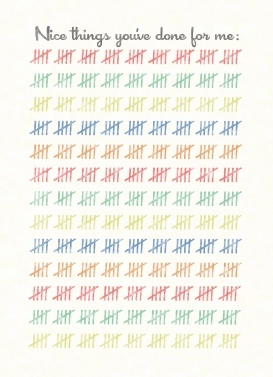 Have you counted your blessings lately? Truly, I wish that we could keep the attitude of gratitude going all the year through instead of just concentrated during the holidays. I teach people to be thankful, to be grateful, to enjoy blessings in their lives & to send out love. Imagine if not just at Thanksgiving were we to get together with our friends and family ~ bowing our heads in thanksgiving, blessing the abundance we’ve been given and celebrating the feeling that love, friendship and blessings are in the air and all around us. Well, you can…you can do it for 30 days if you wish! There’s an easy, inexpensive way to send a card a day in gratitude through SendOutCards. You can keep Thanksgiving going this year ~ for a full 30 days with the Gratitude Challenge! It’s designed to make it easy for you to send a card a day to tell someone how you feel ~ how grateful you are for them in your life! 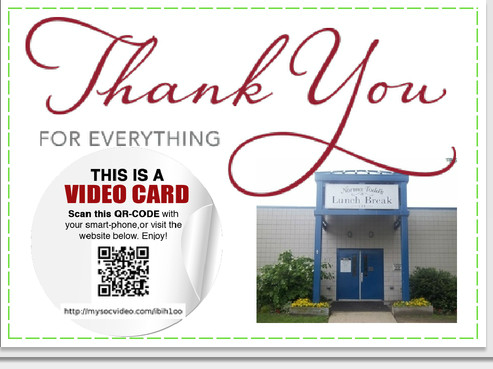 You can upload pictures into the card and even add a QR Code to allow your recipient to watch your own video! Isn’t $1 a day worth it to send a smile through a heartfelt card to celebrate your relationships? Take Day One for Free ~ My Treat! 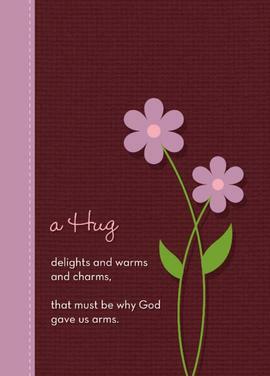 I saw this card and thought of dear Mother Nature who has bestowed so many experiences on our Jersey Shore lately. 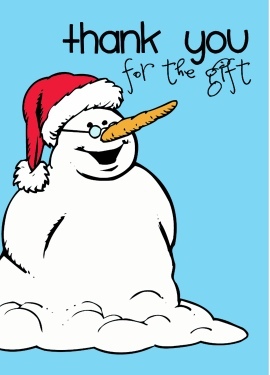 I thought you might like the giggle of this card because it reminded me of the snowman my sons made yesterday. It also reminded me of the gift of gratefulness that she has given to us ~ be thankful that we’re here, we’re healthy and we’re alive ~ and for everything else! Do you practice gratitude everyday? It’s a must! Perhaps you need a bit of help with it? Well, I’ve been holding out on you with a post that I knew would come in the right time. I think today’s the perfect opportunity to reblog one of my favorite blogger’s posts from World Gratitude Day which was September 21st. Paul’s wonderful gratitude quotes and his blog will help you to find gratefulness wherever you roam. Take a moment to click on his link on this Thank God it’s Friday! So please enjoy and be grateful! Thank you Paul Mark Sutherland at GYA Today!